The world is poised for social and political change, but England holds tight to its traditions, classes, and prejudices. When an explosion in London kills two policemen and seriously injures three more, many believe that anarchists are the culprits. But Thomas Pitt, commander of Special Branch, knows the city's radical groups well enough to suspect otherwise: that someone with decidedly more personal motives lit the deadly fuse. Lives matter...all lives. Immigrant lives, poor lives, addicted lives. At the turn of the century in 1898, politics, greed, corruption, and blatantly false premises were front and center to be sorted with not only justice but also mercy. Excellent story and performance! Thomas Pitt's sister-in-law, Emily Radley, is suddenly called from London to be with her dying aunt. Leaving her husband and two children behind, she makes the long journey to her aunt's home in Connemara, an all-but-forgotten town on the coast of Western Ireland. Emily soon discovers that a tragic legacy is haunting the once close-knit community. Violent storms ravage the coast and keep alive painful memories of an unsolved murder-and unsettling fears that a culprit may still be among them. I enjoy getting to know the secondary characters better from the Thomas and Charlotte Pitt series. 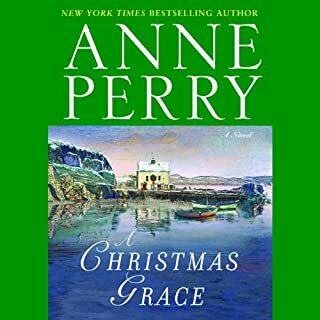 The Christmas stories are less political and more personal moral character studies as only Perry can do. Great listen.